Why is a user not receiving calls through their assigned DID number or extension? Add your email address and phone number. 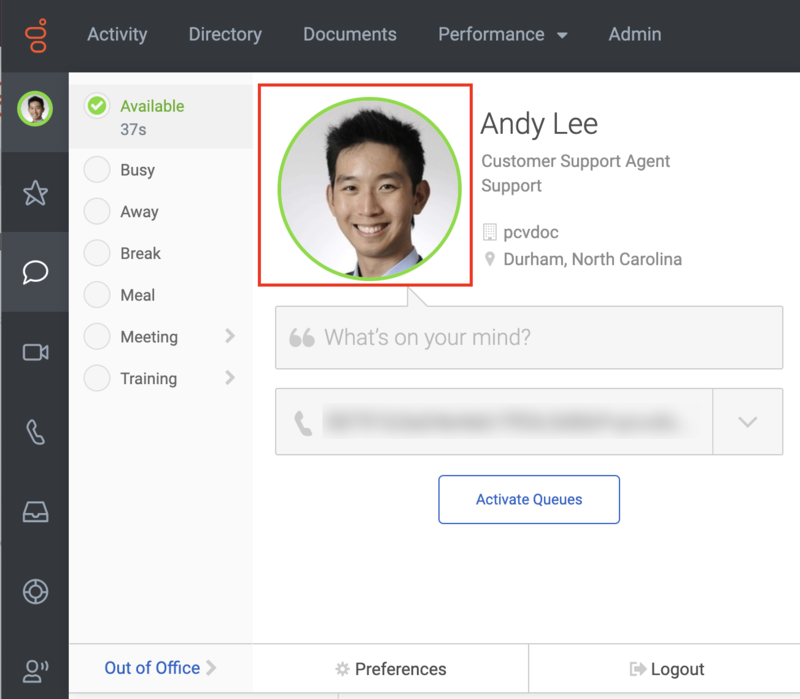 Your coworkers can reach you by clicking the following icons. These icons appear on your profile, in search results, and on your contact card. From the sidebar, click your profile picture to access user settings, then click the larger profile picture. From the Edit Mode in your profile, click Edit in the Contact Information section. Add all of the email addresses and phone numbers you want your coworkers to see. 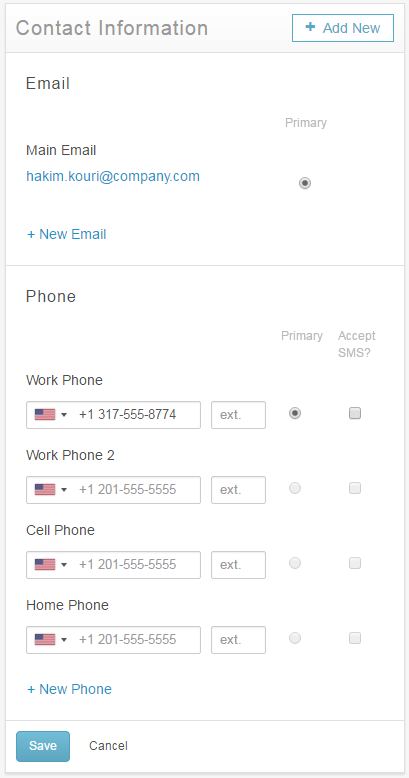 Click Primary for your default email address and work phone number. Click Accept SMS if you can receive texts at each phone number. Add and the country code prefix to international phone numbers. Click + Add New to add instant messaging and address information. When selections are complete, click Save. Watch a product simulation video on Set your primary contact options.